It is the Lord alone who is our shepherd, who leads to green pastures. It is by our turning our backs on Him that we are lost. Soon we find ourselves wandering into wastelands. Dry and parched is the ground we thread on. For this is the nature of sin. That nothing can grow and there is no life. We will whither and die. We can and must choose to turn back to Him. For our Lord and saviour Jesus Christ is the source of life. In His great mercy and love, He is waiting to embrace us. To restore and grow our relationship with Him. For this reason we must never forget how He came for us sinners. And even while we were sinners He loved us. How can we then frown upon others who have sinned and returned to His loving embrace? Should we not rejoice instead with Him? Let them pasture in Bashan and Gilead as in the days of old. As in the days when you came out of Egypt grant us to see wonders. but delighting in showing mercy? Once more have pity on us, tread down our faults, to the bottom of the sea throw all our sins. 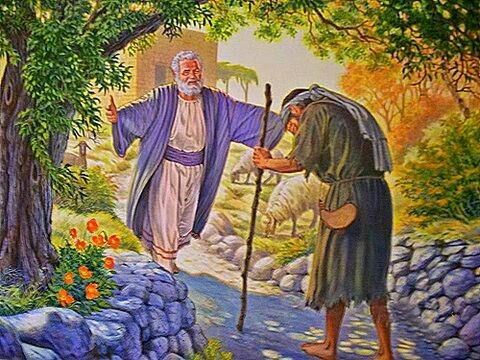 Grant Jacob your faithfulness, and Abraham your mercy, as you swore to our fathers from the days of long ago.